A year after the Slipstream organization was on the brink of collapse, we meet a few of the donors who supported its crowdfunding campaign. BOULDER, Colorado (VN) — Over a hundred cycling fans packed into the Rapha store in Boulder this weekend alongside some familiar names from the EF Education First-Drapac team. Between a Friday evening happy hour and Saturday morning rides, fans had a chance to meet pros like Taylor Phinney and Joe Dombrowski. It was a unique opportunity for an excited crowd — attendees who were more than your average cycling fans. These people were donors to last year’s “Save Argyle” crowdfunding campaign. EF held the Boulder event — and one concurrently in Girona, Spain, as well — to celebrate their supporters. 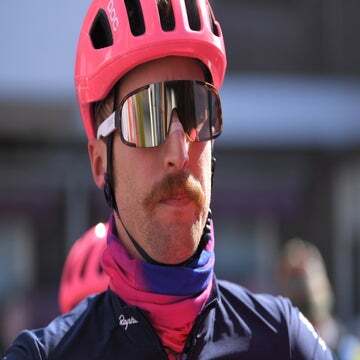 The fans rolling through the Boulder foothills in Phinney’s slipstream had decided to donate some of their hard-earned cash to help keep his team afloat late last year. 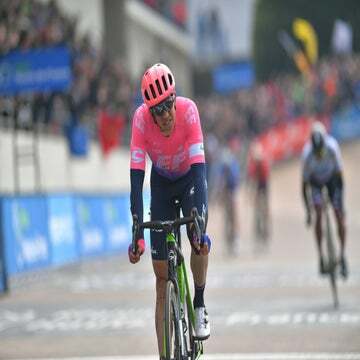 On August 30, 2017, the Cannondale-Drapac team launched a campaign on crowdfunding platform IndieGoGo, trying to save the team after a sponsor pulled out ahead of the 2018 season. The campaign raised about $570,000 — not enough to support a WorldTour team. But the groundswell of support from nearly 4,700 backers helped the team pull out of its crisis by demonstrating the high level of fan interest. The team was ultimately bought by international education company EF Education First. One year later, donors of $25 or more were invited to mingle with many of the pros whose exploits and storylines had garnered their donations. VeloNews stopped by the Boulder event to meet some of the people that had contributed to the #SaveArgyle fund, to learn more about why they donated, and to gauge their level of satisfaction after the 2018 season. A year after the IndieGoGo campaign, Brookshier said she was “definitely” happy to have donated. So too was fellow Coloradan Mark Brazee. “I just wanted to see them have a team,” he said. EF pros on hand in Colorado included Phinney, Dombrowski, Alex Howes, and Logan Owen. They rolled out alongside the fans on a sunny Saturday in a number of rides of varying distances and speeds in and around Boulder. Dave Moore, who flew in for the event from the Chicago suburbs with his son, gave a few reasons why he saw the EF team in particular as worthy of his money. “I really think they do a better job telling stories than some of the other teams … I love watching the races anyway but now I know, what’s the backstory on this rider or that rider?” he said. Moore wasn’t the only out-of-towner in attendance in the crowd of around 130 fans. Karen Pollack flew in from Philadelphia. She said her sister donated to the cause as well and would have made the trek too if she hadn’t been traveling to watch another professional sports team — the NFL’s Eagles — playing in London on Sunday. The supporters VeloNews spoke to had no qualms with the ultimate “save” of the team coming from a purchase by EF Education First, an international learning and travel company. 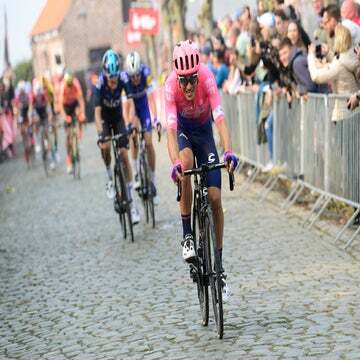 At least among the crowd of attendees, there was a sense of “mission accomplished” with EF taking over the reins after the crowdfunding proved how much support there was for the team among cycling fans. Pollack said the news brought relief and excitement, as well as some curiosity about the new company stepping in. “I think I knew that crowdfunding wasn’t going to be the end-all be-all. This wasn’t going to be a Green Bay Packers save where all of us fans own the team now,” Pollack said, referencing the unique “community ownership” of the Wisconsin football team, which counts over 360,000 people as shareholders. “Once EF came on, once I learned that there was this company purchase so to speak, I was a little skeptical at first, but I thought, you know, it’s long-term stability for the team,” Pollack said. Most of the fans VeloNews spoke to were not regular donors to crowdfunding initiatives. Moore said that prior to his Save Argyle donation, the closest he had come to anything like it was buying a product in pre-sale — a product he had yet to receive. Meanwhile, he felt that the EF team had delivered with exciting racing and storylines in the year since the campaign.